Hi Everyone! I hope you’re all enjoying these last few days before Christmas. I have been VERY busy making gifts with not much time to blog. But I wanted to take a break and give you a glimpse at some of what I’ve done. First of all I have these two very large Rollie Pollies (pattern from Dana of MADE) which I made for my kids for Christmas. 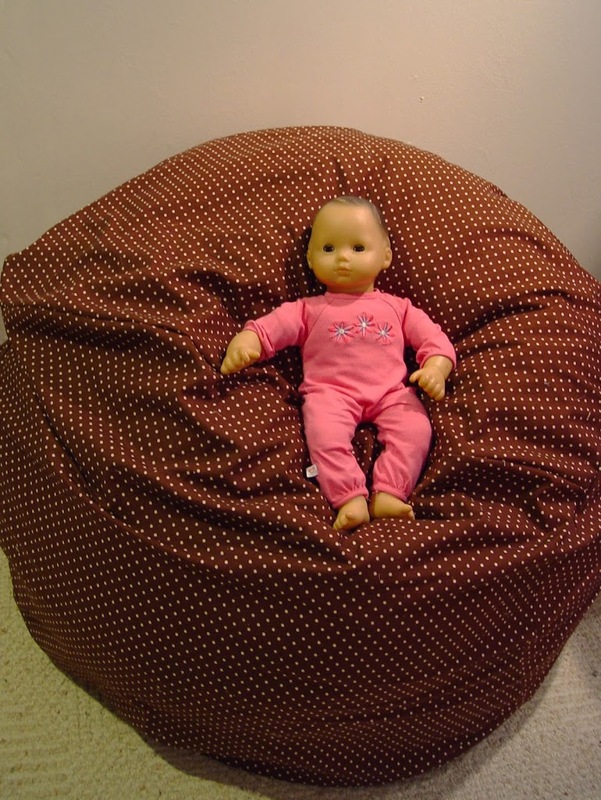 These were so much fun to make – especially thinking about my little kids sitting in them and reading or whatever. I promise to post cute pictures of them sitting in them after Christmas. 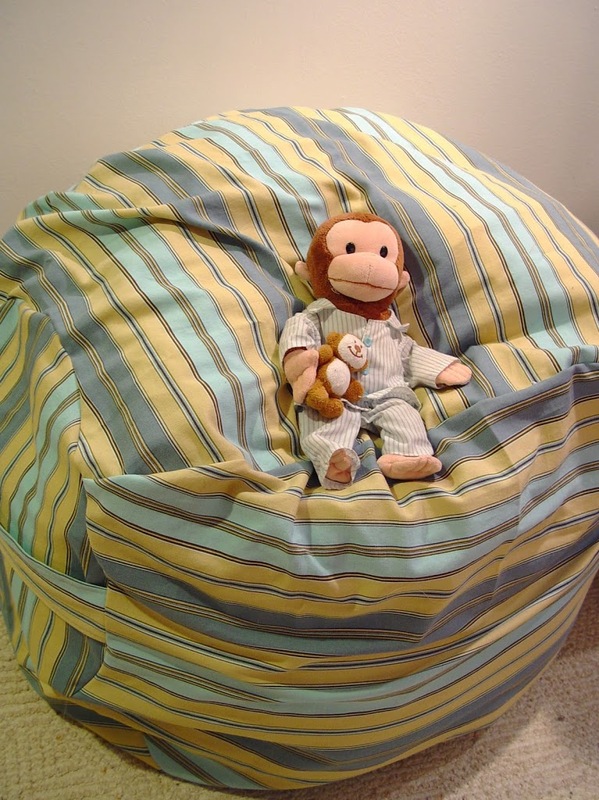 Curious George is already getting comfy in Connor’s. . . .
And “Big Baby” (yes, that’s her name), is hanging out in Gwyneth’s . . . . . 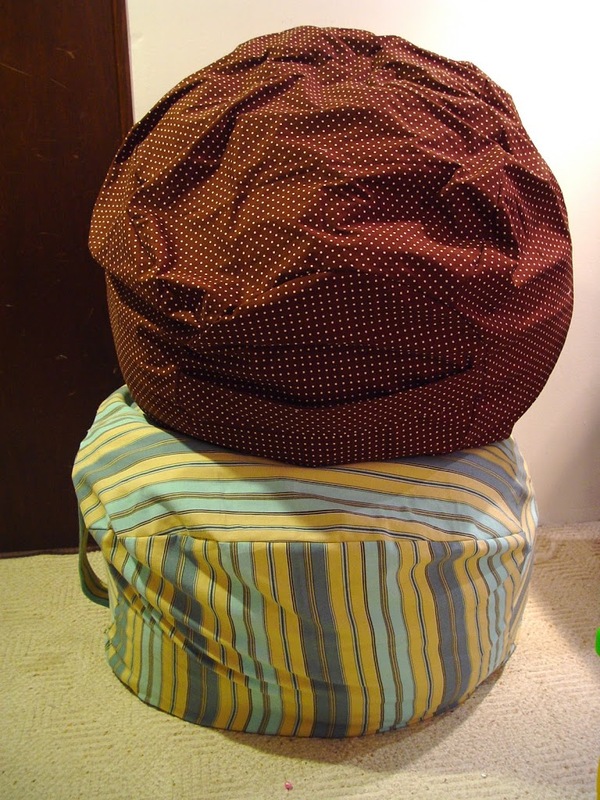 I used regular polyfil instead of bean bag pellets so they’re soft – just like giant pillows! I hope they like them. This polo shirt is for my father-in-law. 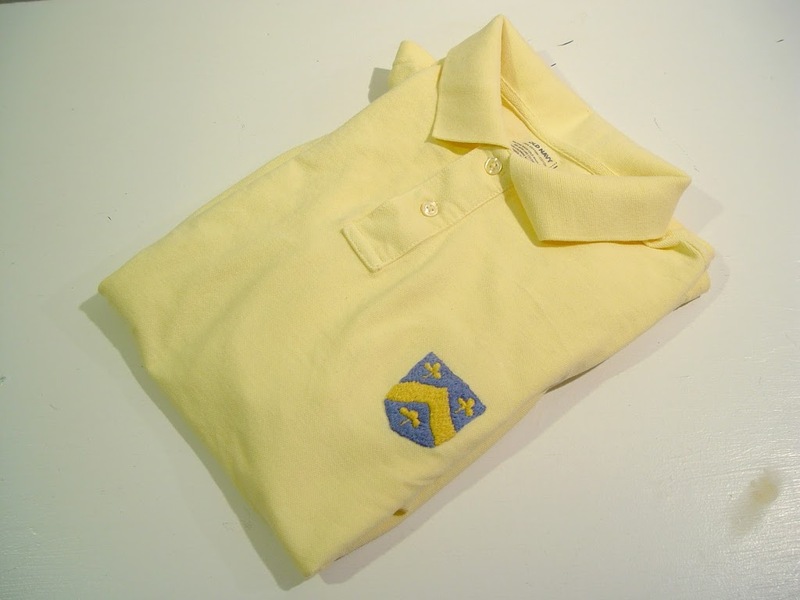 I embroidered the family crest on the front. I used a split stitch to the the nice full look. This actually took me quite a while. I think I must be out of practice, but it was very relaxing. 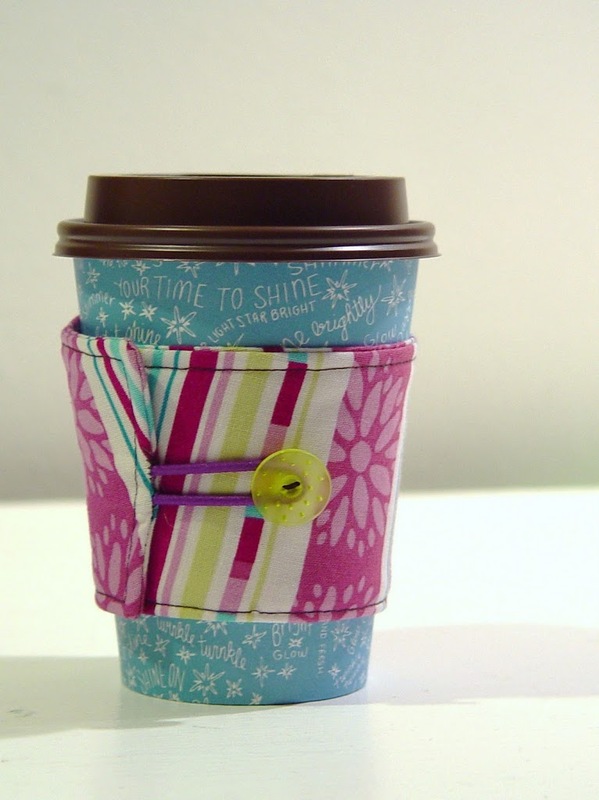 A simple coffee cozy for Connor’s kindergarten teacher (with a gift card for coffee inside). Next some t-shirts. (I used freezer paper for all of these. Designed by me.) We have a spicy pony head t-shirt for my brother-in-law. 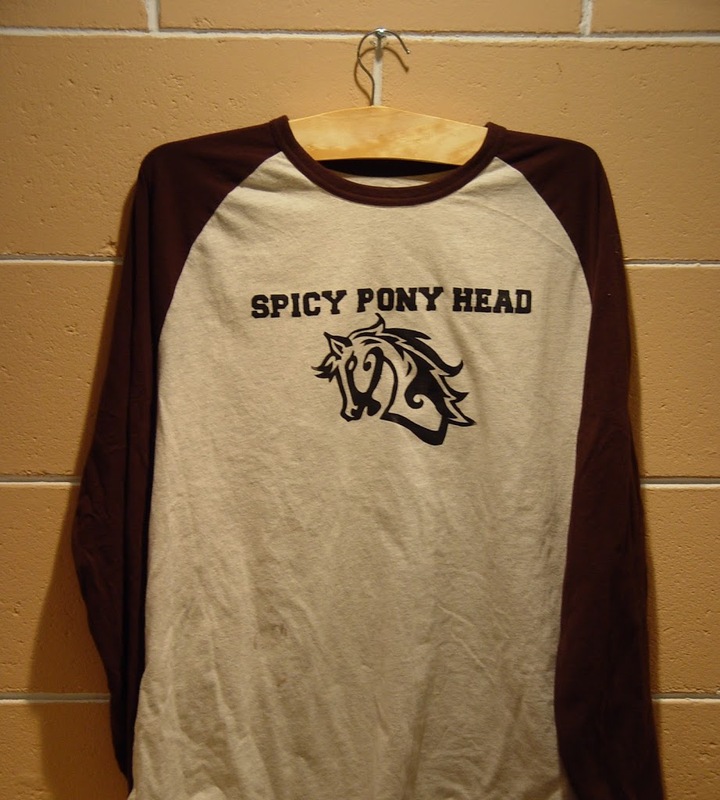 You can read about “spicy pony head” in these previous posts here and here. 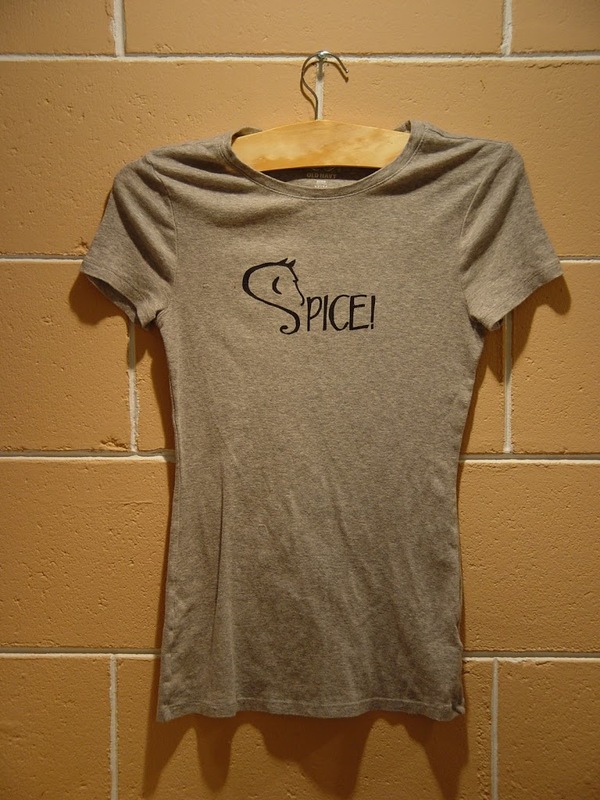 Another spicy pony head inspired t-shirt for my brother-in-law’s wife. Late last night my husband and I were working on addressing our Christmas cards that came! I was so excited for these. What do you think? That’s it for now. I’ve got to go finish another quilt today! Wish me luck. I finished one late last night. Hopefully I’ll get a chance to show them to you tomorrow. After that I still have an apron to make, a few coffee cozies, and some simple kids clothes. Boy I’m cutting it close this year! Good thing my wonderful husband took the week off this week to help with the kids! But somehow I still see an emergency Target run for all those gifts I don’t finish! . . . . but I have come to realize that’s OK!